The WakeMe app is the product of a weekend spent at Startup Weekend Toronto. My team and I developed the concept in less that 72hrs. My main role was User Interface and User Experience design. 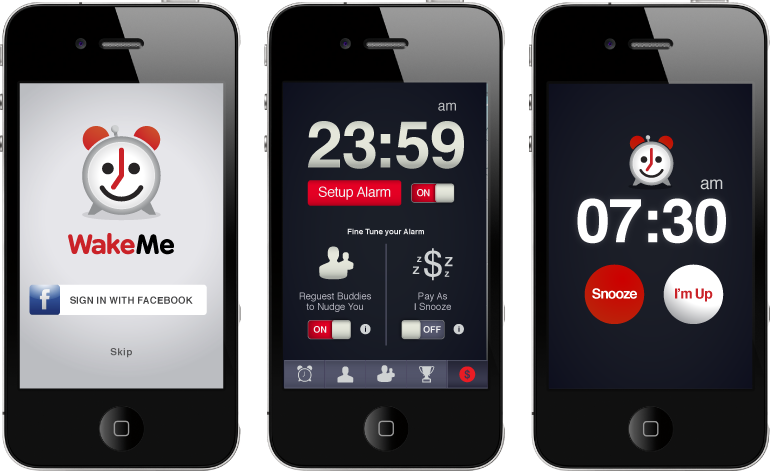 Graphically this app is different from most alarm apps due to its clean interface. We wanted an alarm tired people could easily navigate. Since then we have refined the app, which is now being built.